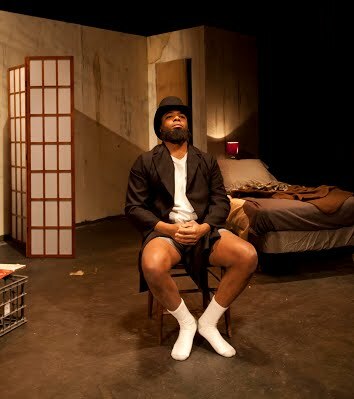 "Director kb saine has smoothed out some of the awkward edges of Suzan-Lori Parks' celebrated but thorny script. She's also cast two of the area's most charismatic actors to portray brothers whose lives are a jumble of hustling, heartache and betrayal. ... With its slow-building intensity and devastating crescendo, "Topdog" shows Sycamore Rouge at the top of its game." "Artistic director kb saine is to be commended for expertly directing and taking on such a difficult task, capturing these complex and conflicted brothers and bringing them to life." "Director kb saine has the advantage of a superior cast and a perfect environment in which to stage her production."